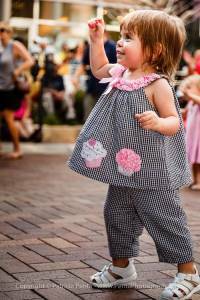 Do you remember that exhilarating feeling you had the first time you arrived at the Cherry Creek Arts Festival? The first time you discovered your favorite artist; the first time you danced on the streets of Cherry Creek North; the first time you shared your passion for the Festival with your family? It’s a weekend filled with adventure, discovery, and passion; an annual tradition that creates family memories that last a lifetime. 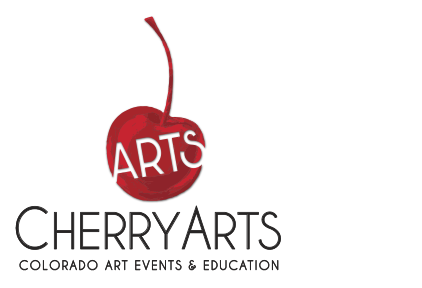 For 26 years the Cherry Creek Arts Festival has created a platform for families to come together and engage in art experiences over the 4th of July weekend, and this year is no exception. Throughout the Festival weekend, families can visit Artivity Avenue, a full block of interactive activities located on Steele Street between 1st and 2nd Avenues. Kids can create flowers and critters, design sculptures out of vegetables, color velvet art sheets, finger paint, create an artistic button and so much more. Other artivities include the following. Imagination Collaboration Mural – “Be A Part Of The Art” at this exciting mural painted by the community. Creation Station presented by Cruisin’ 1430 AM – An art playground tailored to younger children. 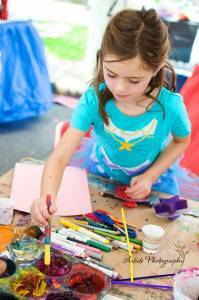 This area is one of the most popular activities, and it features numerous diverse and creative art activities designed to engage the mind and the whole family. King Soopers Area – Play with your food and create a sculpture out of vegetables. Additional ongoing family-friendly activities include the following. 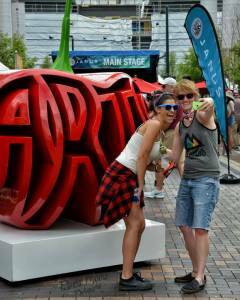 Performing artists at the Janus Main Stage and Blue Moon Beer Garden throughout all three days of the Festival. The Janus Art Experience tent featuring an art demonstration by 2016 poster artist, Lynn Whipple. The Mobile Art Gallery in the JW Marriott Cherry Creek lobby (located at Clayton Street and 1st Avenue), featuring original works of art from years of Arts Festival exhibiting artists. One of the Arts Festival’s year-round educational programs, The Janus Mobile Art Gallery travels to Colorado schools throughout the year. The Janus Student Art Buying Showcase – Saturday, July 2, from 1:30 p.m. to 2:30 p.m. – at the Janus Art Experience tent on Clayton between 2nd and 3rd Avenues. Handsome Little Devils spontaneous mobile pop-up performances throughout the Festival weekend provided by Festival Sponsor Arrow Electronics. Culinary Avenue – located Fillmore Street between 2nd and 3rd Avenues. Enjoy unique dining experiences at nearly 20 culinary vendors and five food trucks. Have babies? The Cherry Creek Arts Festival provides a diaper changing station with supplies on Artivity Avenue and a first-aid station at Fillmore and 3rd Avenue. Sunscreen is available at entrances and other locations provided by Rocky Mountain Sunscreen. The Information Booth presented by the Denver Post, located at 3rd and Fillmore Avenues, will assist with any questions or onsite needs. Transportation is easy for the whole family with a bike corral located at 3rd Avenue and Steele Street and valet parking for bikes provided by nonprofit partner wishforwheels.org. Cherry Creek North has four B-Cycle stations and three $6 “Festival Premier Parking” at onsite locations. Parking is free at the Cherry Creek Shopping Center.